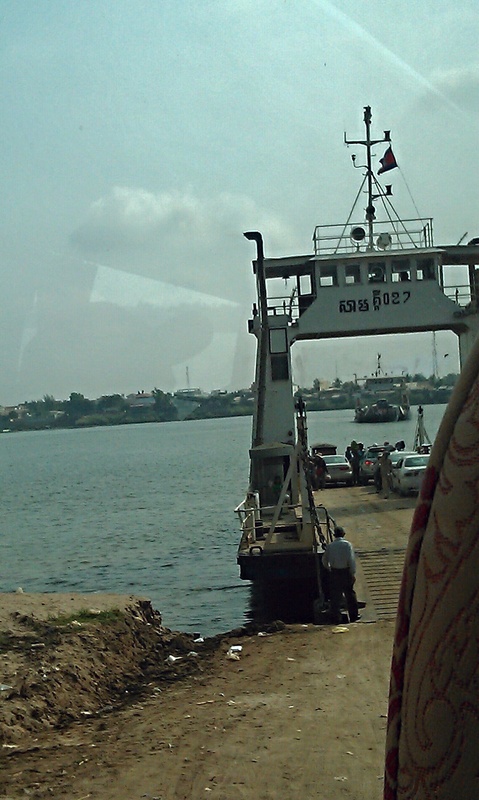 We could have crossed the border when we were staying in Kampot, as it is very close. However, on the Vietnamese side, it looked more problematic. We would have had to get motobike taxis from the border to the nearest town, then a long bus journey to Ho Chi Minh. 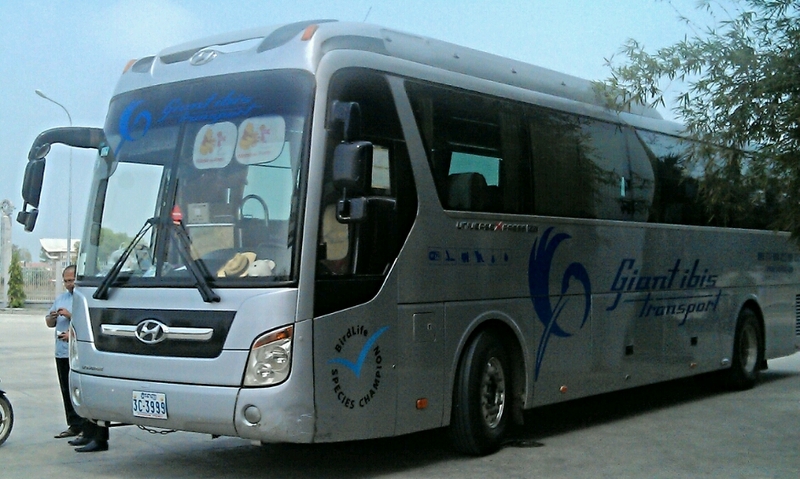 Instead we decided to travel back to Phnom Penh & catch the Giant Ibis bus, which takes you straight to Ho Chi Minh on the same bus. It’s not the fact they are pretty much luxury travel (with reclining seats & air con); apparently have a great safety record (max speeds & safety belts); WiFi (great for checking in on Facebook, but not strong enough for blogging); but principally because for a extra $6 each, we just wanted an ‘easy’ journey (Total $18pp). We were picked up earlier than advised by the pick up shuttle & set off on time (08.30) from the main Ibis office. 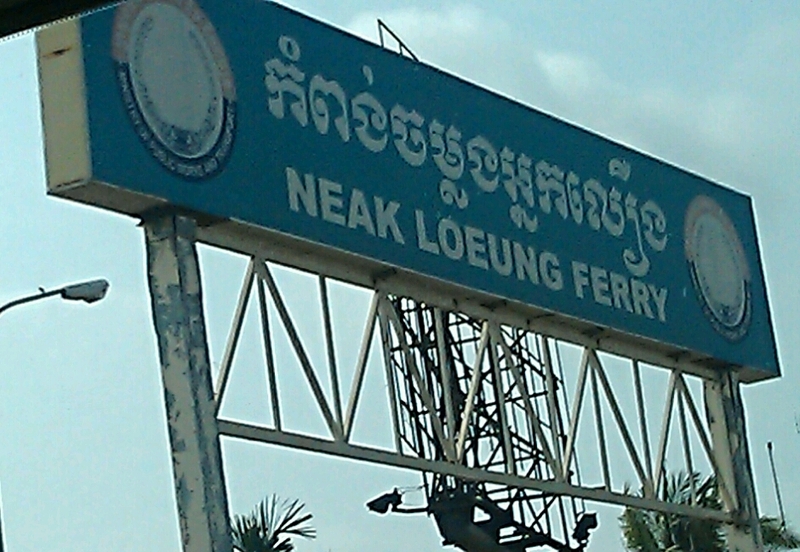 At 10.15, we arrived at the Neak Loeung ferry to cross the Mekong river. We queued for about 10mins, then straight on. We arrived at the border at 11.45. Our host on the bus, had collected our passports (at the start of the journey) to check the correct visas were in place. Once handed back to us, we queued to get our exit stamp & our fingerprints scanned. The Cambodian side literally took 10 mins. Passports were recollected by our host & we stopped for lunch. Our host then gave our passports to the Vietnamese side for checking. After lunch, we were back on bus by 12.20 to go through the Vietnamese side. This took 45 mins in a very hot queue, waiting to get our passports back & our luggage to go through the security scanner. In Cambodia & Vietnam everyone is referred to by first name. I was OK with Miss Dawn as no other travellers, however with a hall packed with Mr James & Mr John it gets a little confusing. 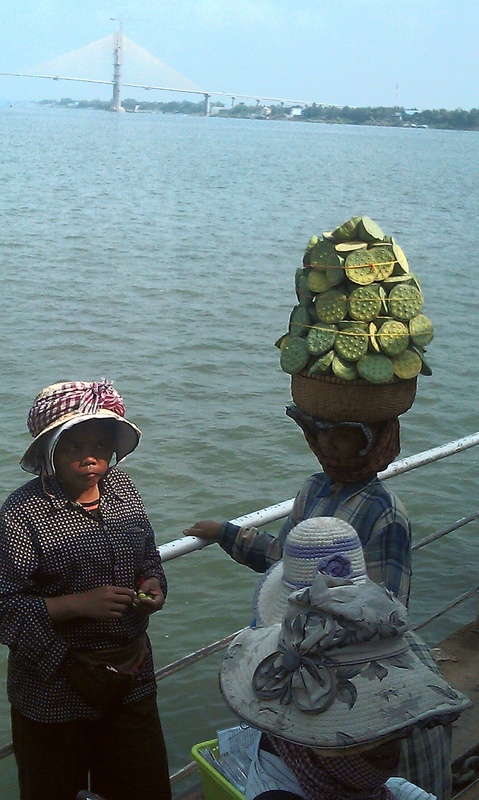 The Cambodian & Vietnamese sides contrast starkly. One is modern attached to a shopping mall (surrounded by at least 5 Chinese mega casinos); the other, an old military style building with bureaucratic process. At 13.15 & we are finally through to Vietnam (minus two poor Canadians whose visas weren’t in order). NOTE: whilst Cambodian visas are available on arrival, Vietnamese visas must be arranged before travelling. There are apparently a few scams with shops providing fake visas (to be confident we went to the Vietnamese Consulate in SihanoukVille). 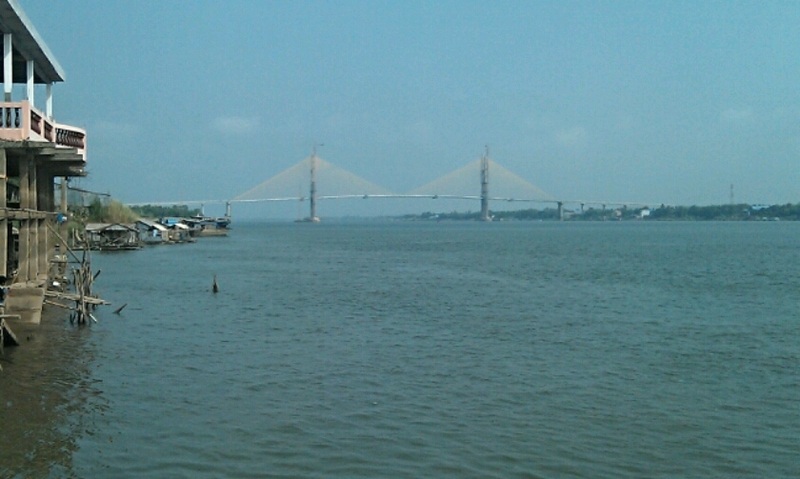 It was another 75km from the border to Ho Chi Min city. We arrived on the outskirts at 15.30 (as promised a 7hr trip) but due to heavy traffic it took us another 30mins to get to the centre of District 1 bus stop.